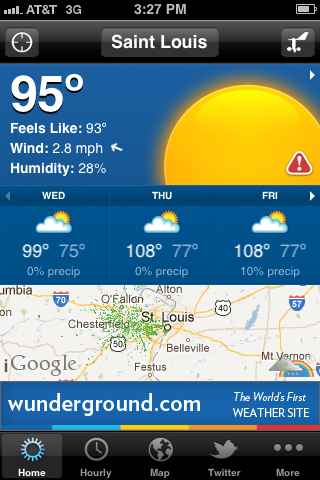 It’s HOT in Saint Louis. Close to 100 degrees hot, and actually entering triple-digits tomorrow. The heat has forced us outside (ironically), to grill quick meals and then run inside and eat them like hungry vampires in the safety of our cool, dark home. I had a simple but phenomenal steak salad at Over/Under on Wash Ave last week, and began craving steak salad as soon as I’d polished off the last bite. 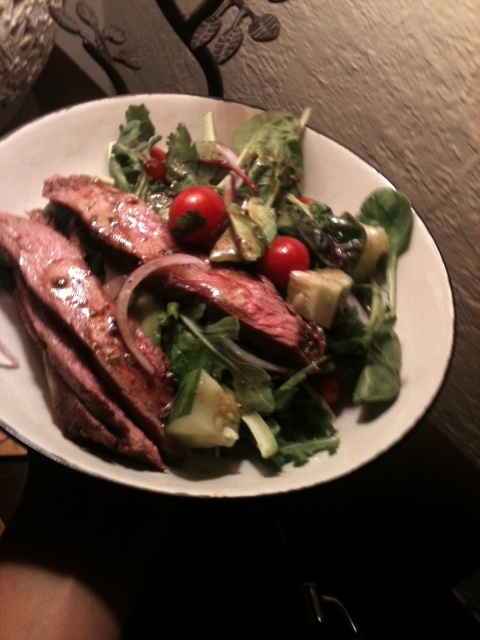 We had a pretty active and busy weekend, and making a grilled steak salad at home seemed to fit the healthy, fast, craving-satisfaction bill. And I’ll be the first to admit that I’m one to eat and repeat (and repeat, and repeat) when I stumble across a meal that particularly hits the spot. Preheat your grill to a medium-high setting. At room temperature, combine the canola oil, sugar, and soy, and spread over both sides of the flank steak. Let this sit and marinate while the grill heats up. Once hot, grill to desired doneness- I find that cheaper cuts like flank steak do well when cooked rare-to- medium rare, and always cut on the bias. Anyway, grill to your desired doneness (turning once) and let rest while you assemble the salad and dressing. While the meat is resting, assemble the (prewashed!) greens in a pretty bowl. Slice the red onion, cut the cucumber, slice the avocado, and assemble all of those, along with the tomatoes, on top of your greens. Lovely!! If you’re a vegetarian, eat now! 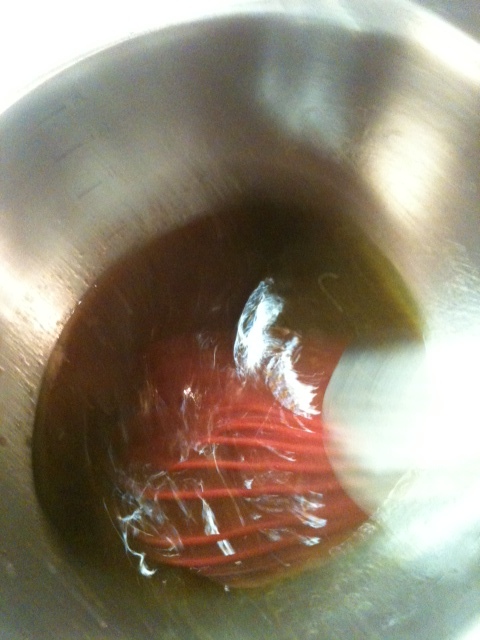 Mix all ingredients except olive oil together in a small mixing bowl. Let sit for five minutes. Go feed the cat or pour yourself a glass of wine while this is sitting. When your wine has been poured, whisk in the olive oil in a slow, steady stream, emulsifying it into the dressing. This is a delicious salad topper, and can be kept for days at room temperature. Yay! You’ve saved yourself a step for tomorrow’s dinner! Slice the rested flank steak across the grain, at a bias, the best you can. You’ll need a sharp knife for this, and a serrated knife may pull at the delicate graining of the meat. The point of cutting this way is to tenderize the steak- cutting on the bias, against the grain actually makes sliced meat more tender and palatable. Message! 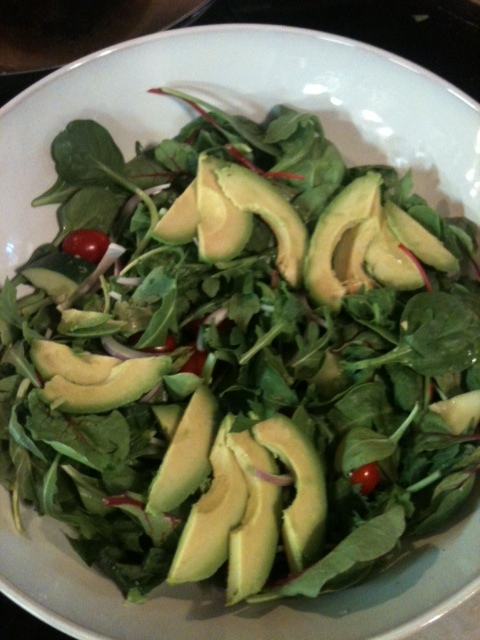 Now- grab your favorite BIG Salad Bowl, assemble greens, top with veggies, then with avocado and steak. Serve!! Enjoy your summery meal!! 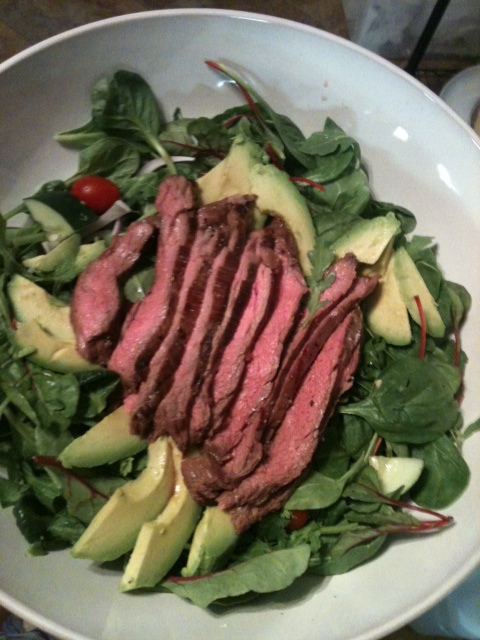 This entry was posted in Classics, Dinner, Easy, Fancy, Fast, Gluten free, Healthy Spin, Restaurants, Salad, Side Dish, St. Louis, Uncategorized and tagged balsamic dressing, over/under, steak salad. Bookmark the permalink.